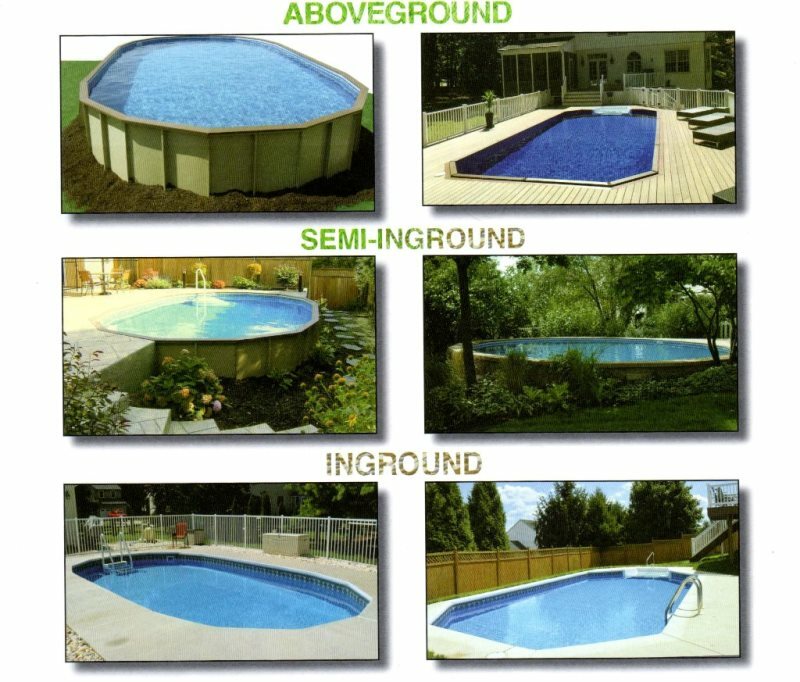 Carroll County Pools features all the following above ground swimming pools. 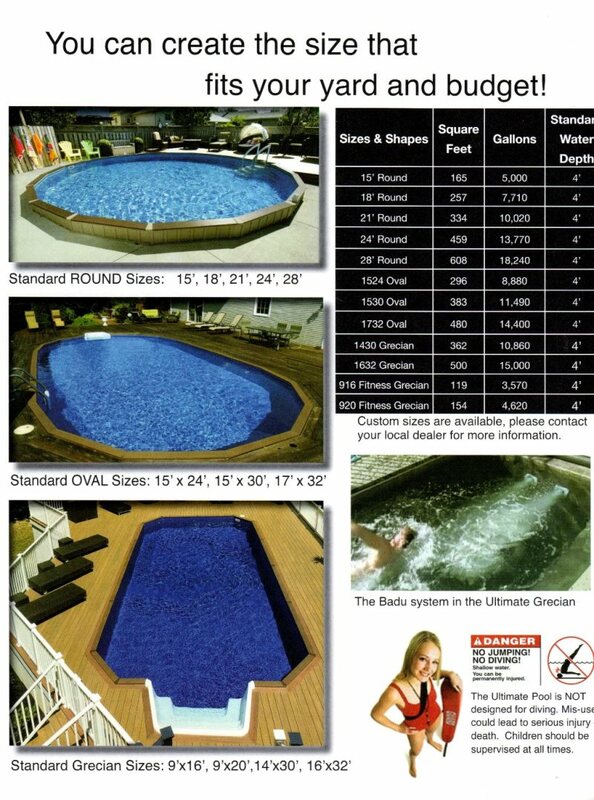 Please stop in or call for more details on any of these. 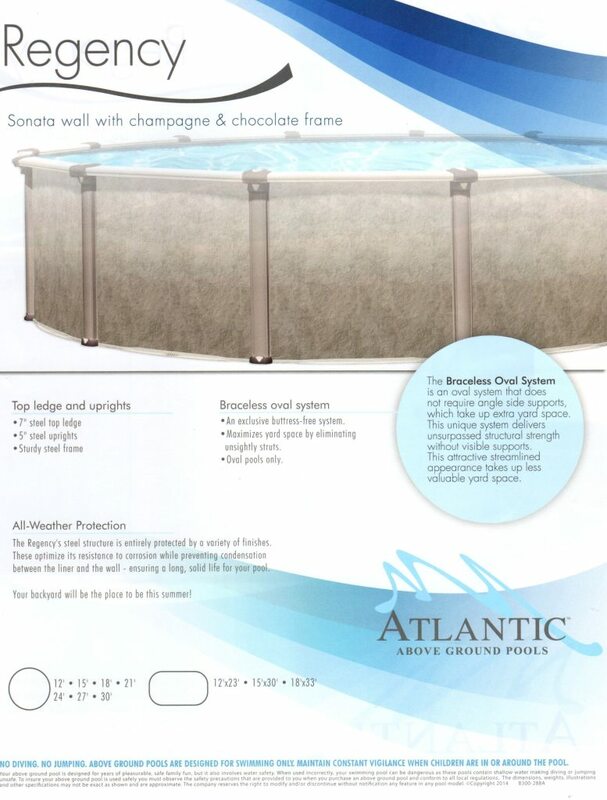 All Above ground pool packages include the following: filter (variety of options available), wide mouth skimmer, dirt devil auto cleaner, telescopic pole, skimmer net, test strips, thermometer and A-Frame Ladder. 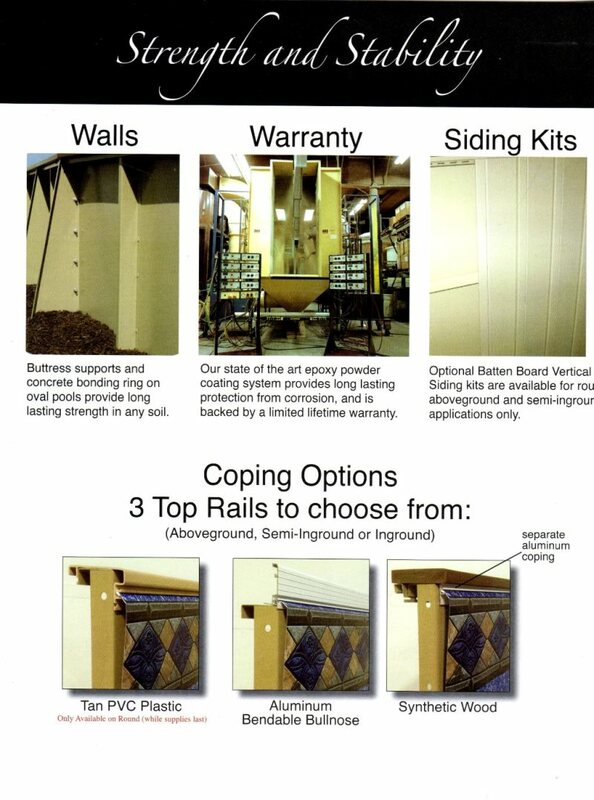 Make sure to ask about the wide variety of liner options available and accessories including winter covers. 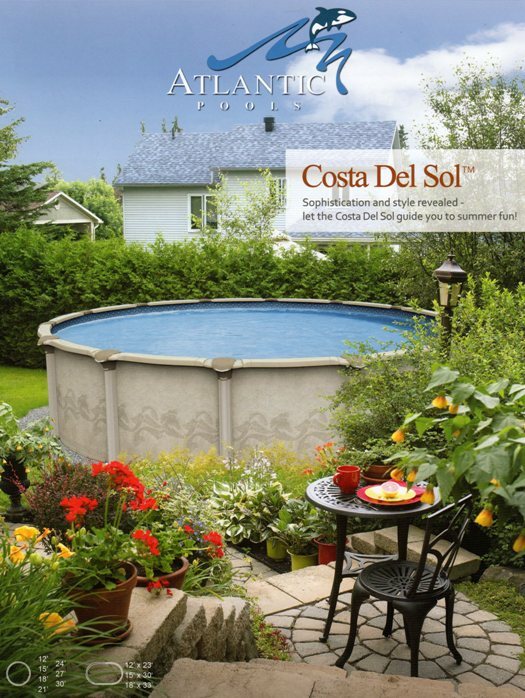 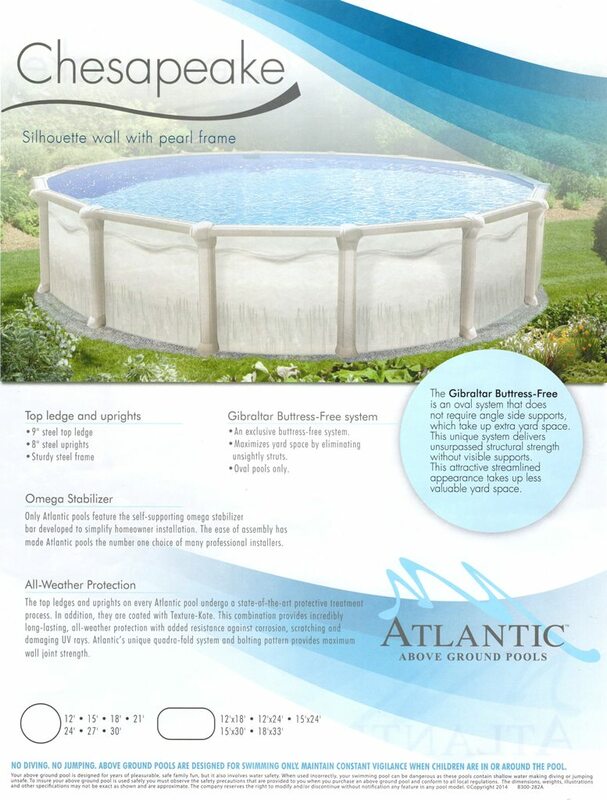 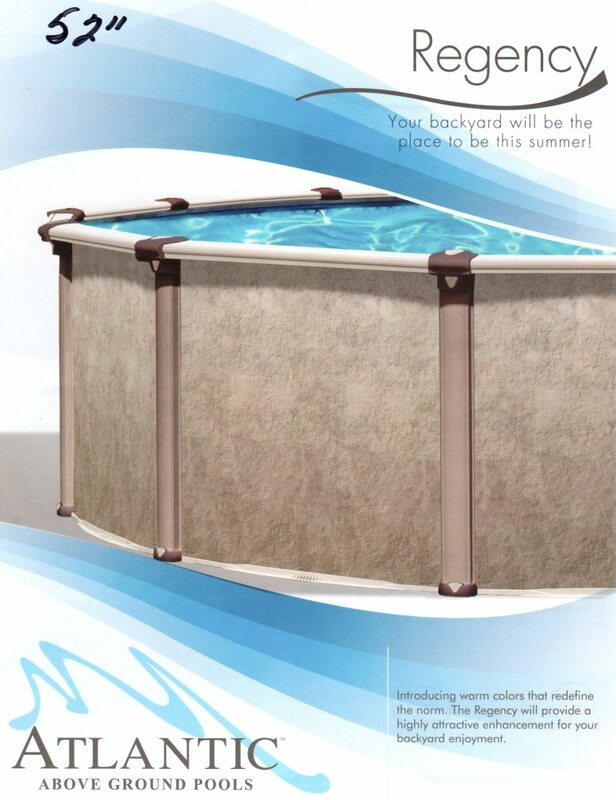 The Ultimate pool can be installed aboveground, partially in-ground, or completely in-ground to fit any yard or slope. 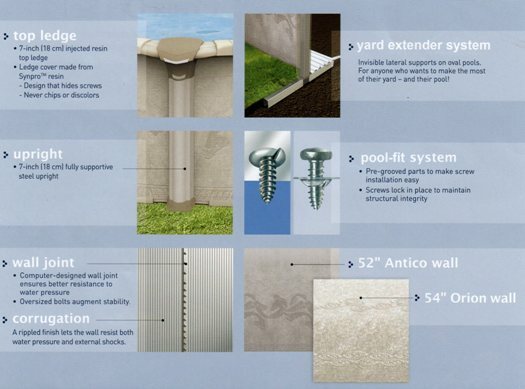 The 14 guage in-ground quality steel gives the pool unmatched strength and durability to last a lifetime. 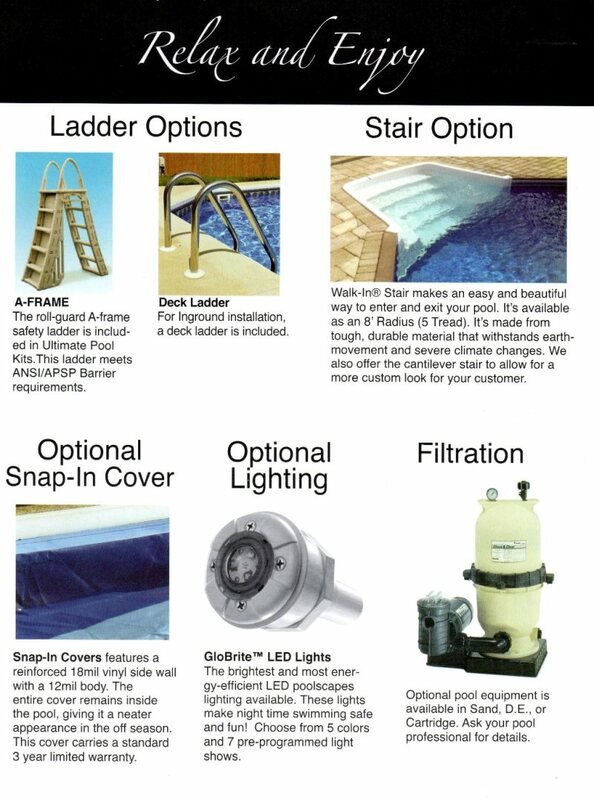 All Ultimate Pool Kits include: 14 Guage Galvanized Powder Coated Stell Walls, Top Rail (3 choices), In-Ground Quality Skimmer and Return, Hardware, Drive Stakes, Joint Covers & Vinyl Liner. 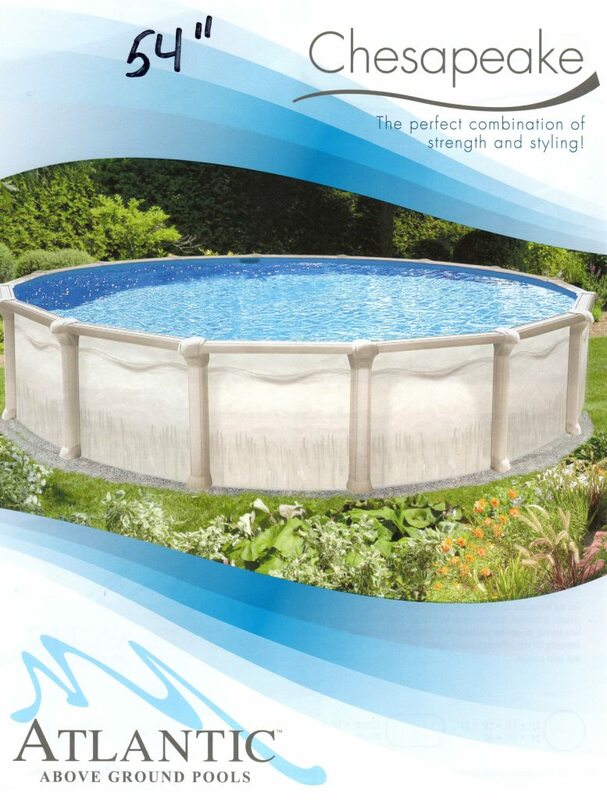 Our quality above ground pools have helped us become voted Carrolls Best and can be installed throughout Carroll County, Howard County MD and Baltimore County Maryland including Westminster, Taneytown, Finksburg, Sykesville, Eldersburg, Hampstead, Manchester, Mt Airy as well as Columbia, Ellicott City, Randallstown, Reisterstown, Glyndon and Owings Mills.